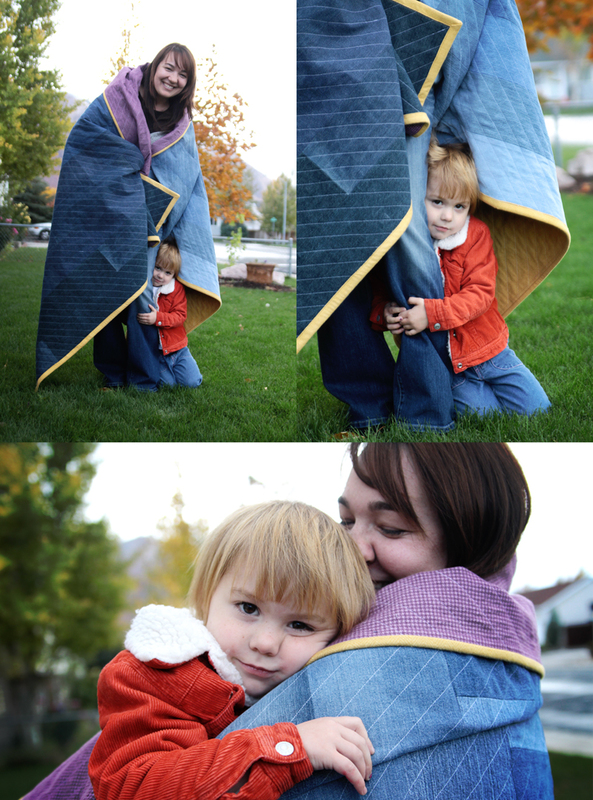 In today’s post: Learn the easy way to turn old jeans into a beautiful denim quilt, perfect for picnics! Every one needs a denim quilt! They’re perfect for keeping in the back of the car so you always have a blanket handy for park playdates, picnics, soccer games, etc. A few years ago I decided I needed one. 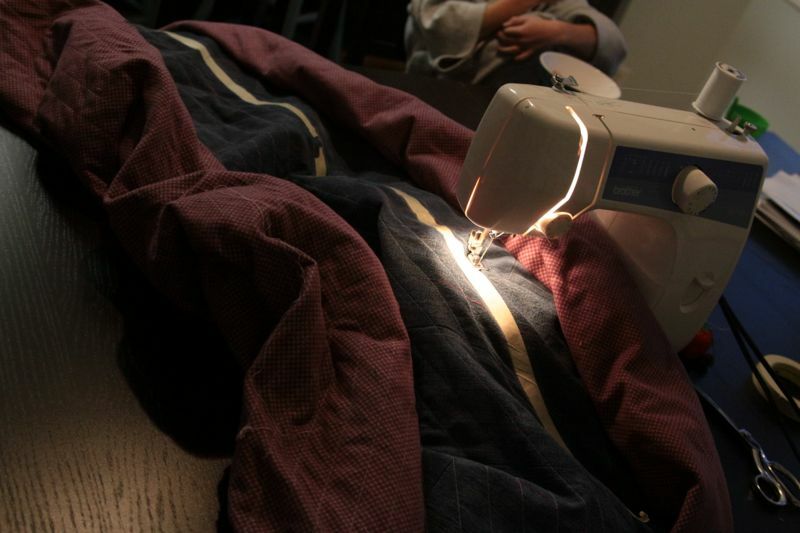 Today I’ll show you the easiest way to turn old jeans into a beautiful denim quilt. Because you use recycle jeans to make a denim quilt, your squares have to be fairly small. 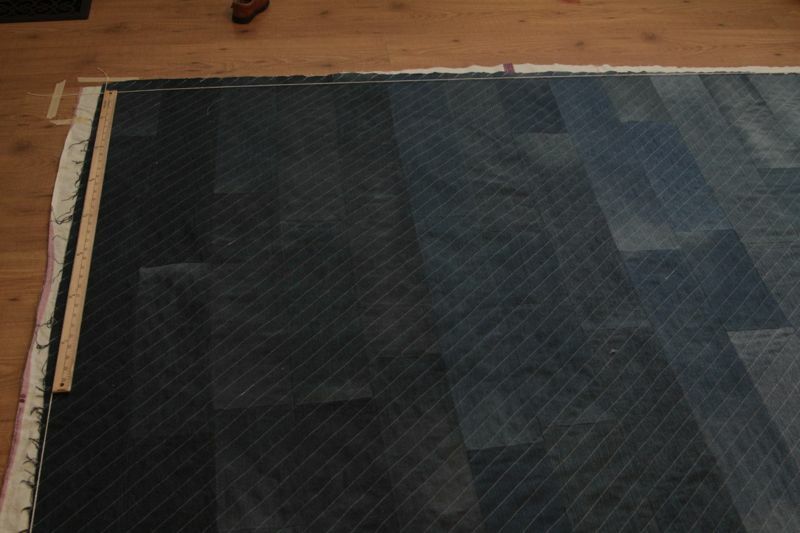 I realized it would be much simpler to use longer strips of denim instead of squares. Using strips instead of squares meant the quilt came together much more quickly! I used light, medium, and dark colored jeans and cut strips from each so I could get a pretty light-to-dark color effect. For the back of the quilt, I used a soft flannel. 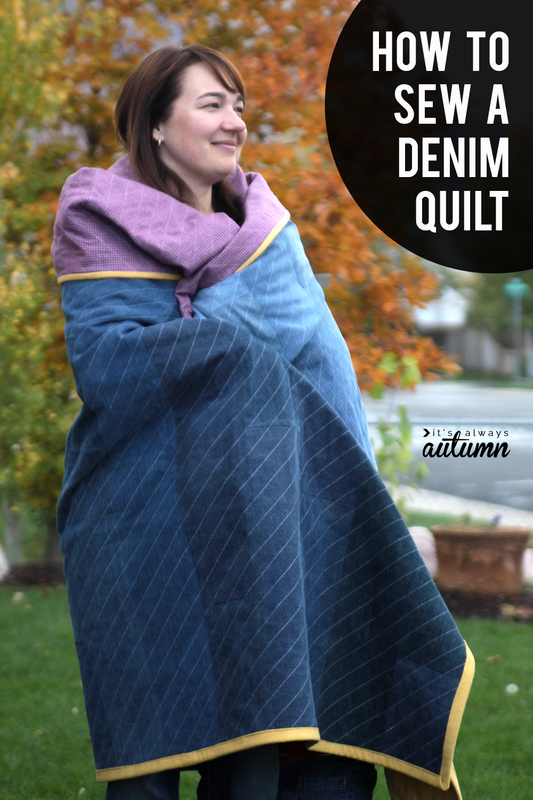 I didn’t use any batting in between layers because the denim and flannel together were already heavy and warm enough – I didn’t want the quilt so thick that we’d never use it. Leaving out the batting allowed me to straight stitch quilt the entire thing on my regular old sewing machine. Now, you can certainly tie the quilt instead of sewing quilting, which will make this even easier! If you want to quilt it, you can simply sew straight lines about an inch apart like I did. 1. Gather denim. I purchased all my denim at three different garage sales the morning I wanted to start making the quilt. Garage sales are the best place to get denim cheap! 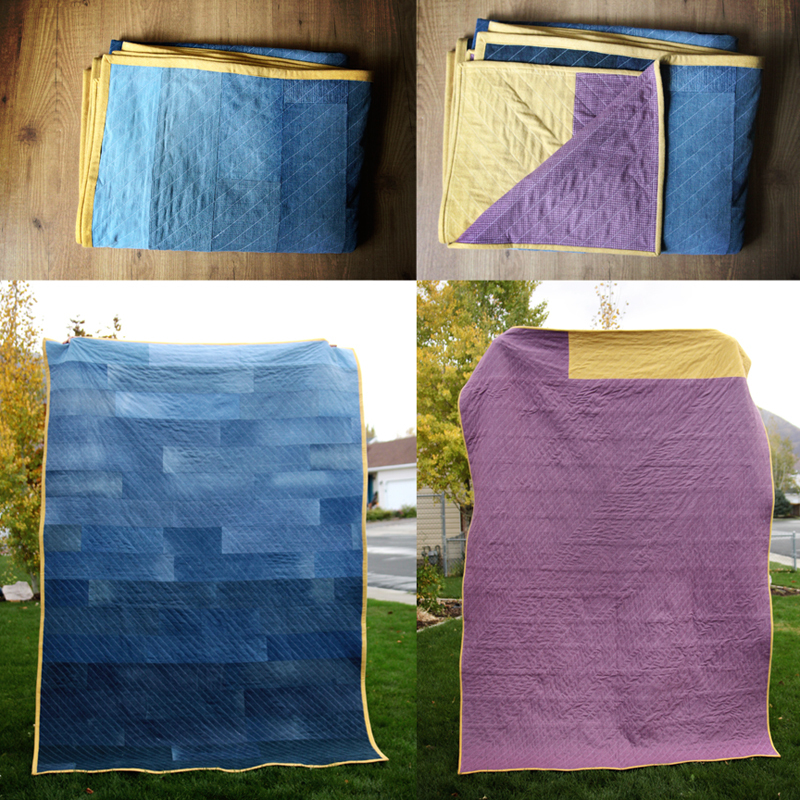 If you want to make an ombre quilt you need to pay attention to the color of the jeans you are buying – be sure to get some that is quite dark, some that’s medium colored, and some that’s lighter. I kept all the denim I had bought in hand as I was looking for more, to make sure the colors all looked like they’d go well together. I only purchased adult jeans because I wanted strips the were a full 6 inches wide. Also, pay attention to how distressed the jeans are – if the dark jeans you buy all have really light areas in the bum/knees you’ll have to end up cutting some of those out. I think I purchased about 18 pairs of jeans and had at least three or four more than I needed. I got all my jeans for $1 or less per pair. 2. Wash and cut. I would not recommend trying this without a rotary cutter and large ruler, as you see below. You certainly could do it, but it would take lots longer! 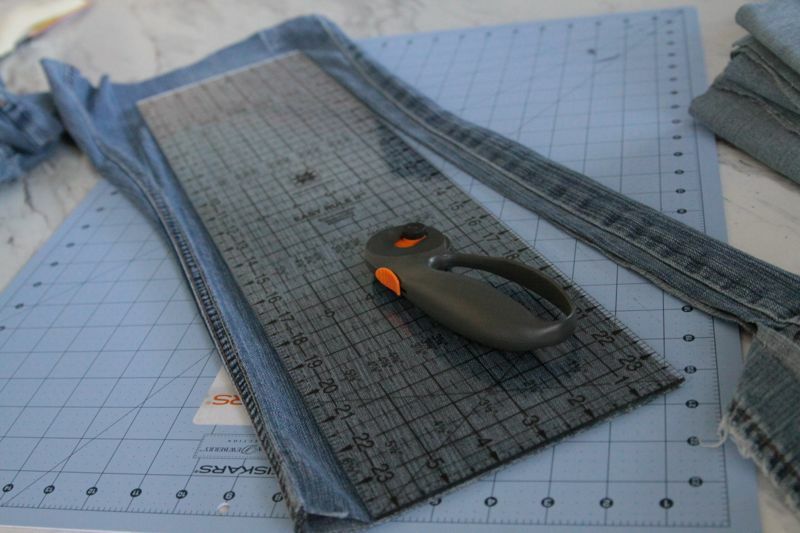 I just sliced the legs off the jeans right at the crotch then used my ruler and rotary cutter to cut them into 6 in wide strips. I discared the knees of many of my jeans because they were stretched out and light – but that’s ok, because you end up with strips of different lengths, which is what you’re looking for. As I cut up jeans, I placed them into one of four piles based on color, and I tried to keep the piles fairly even. 3. Lay out strips, then sew together. 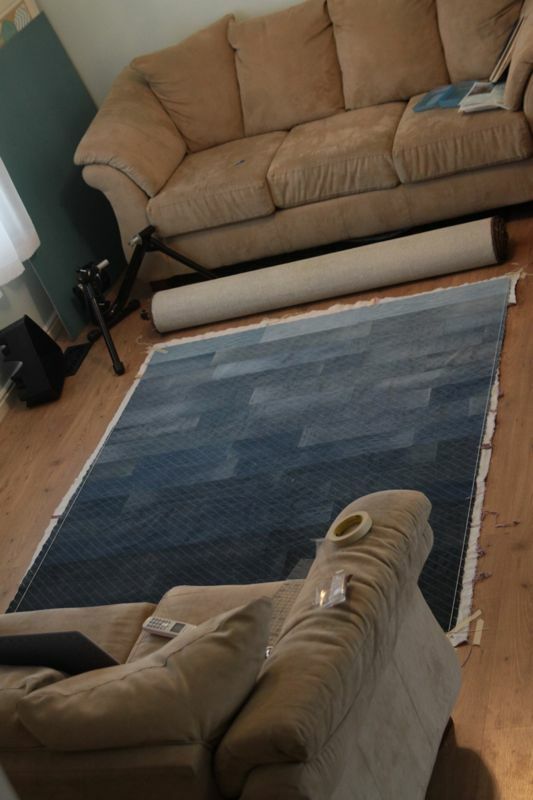 When I felt like I had lots of strips I laid them out on the ground and moved pieces around until I liked how they looked (making sure each row could be about 64 inches wide, and adding rows until I had nearly 88 inches in length – I ended up with 17 rows). I tried to make sure that the vertical seams connecting each strip WOULD NOT line up from row to row. When I liked how it looked, I went ahead and sewed the strips together into rows, using 1/2 seam allowance and pressing the seams open. Save yourself a headache and use a denim or heavyweight needle. 4. Sew each row together, then press all the seams open. 5. Place quilt top on backing fabric, wrong sides together, and baste securely. Sorry, I guess I didn’t take a picture of this step. I used 4.5 yards of nice flannel (washed first!) and sewed it together to get a rectangle just a little larger than my quilt top. I spread the backing down on the floor and smoothed it out as well as I could. I rolled the quilt top up into a log, then carefully unrolled it onto the backing, again smoothing as much as possible. Then I hand basted the two layers together (you could safety pin together if you’d like) so they wouldn’t move around once I started quilting. NOTE: I did not use batting between the two layers because I figured the quilt would be plenty heavy and warm as is. I was right. When I finished a row I’d move the masking tape over, lining it up with my row of stitching, then go back to the machine to quilt another row. I put my machine in the middle of my large dining room table, which made the quilting process much simpler because there was somewhere for the heavy quilt to rest as I sewed the rows. I was sewing like crazy trying to get this quilt done in time. 7. Square off the denim quilt. I spread out the quilt on the ground again, then measured and marked an even rectangle using string that I taped to the floor. I slid my cutting mat under the edge of the quilt and used my rotary cutter and ruler to trim the edges even with the string. You can see the string a bit better here. 8. Bind the quilt. I used this tutorial for adding binding in a soft gold flannel (prewashed!). Make sure to use bobbin thread that matches the quilt backing so it will be less visible.I also had to lower my tension quite a bit so the binding didn’t bunch up as I sewed. 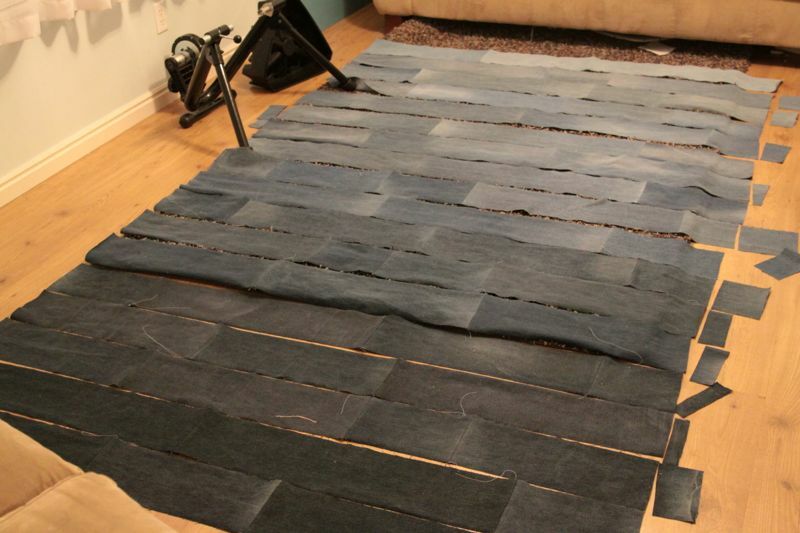 And there you have it: the easy way to make a denim quilt! I saw you won, I was going to call and congratulate you, but there have been way too many things going on over here. Love the quilt, I might have to do my next one similar. hope all is well. I like this but I think you owe a shout out to the quilters of Gee’s Bend. Those ladies do not get the credit they deserve for inspiring so many designers. You may not even be aware of it. That happens. Thanks for thinking about what I’ve said here. Wow! The Gee’s Bend quilts are beautiful. If Matisse got into textiles it would look something like this. They’re not perfectly square but who cares? They don’t need to be. I was worried my quilt would turn out squint and my patches not cut exactly but I guess that’s part of the charm of homemade, if I wanted perfect I’d go buy one. I’ve never heard of Gee’s Bend quilters – I’m not actually very familiar with the quilting world. I’ll google them, though – thanks! I love this quilt so much!!! I’ve been saving my hubby’s blown out jeans for years waiting for the right idea, and I think you’ve provided it 🙂 Not sure when I’ll get to make it, but I’ll be saving this page. p/s I’d love to know about the photo wall behind you too. 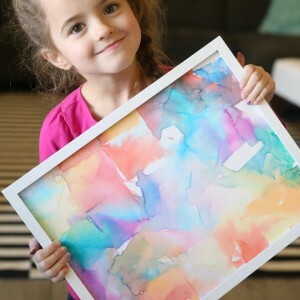 It looks like fabric covering something & I love the way the photos are collaged together. You did such a marvelous job on this. I have been collecting denim for years; too good a fabric to throw out just because the knees and rump get thin! I had some ideas about using light to dark to create a design, and your quilt is sort of like seeing the ideas in my head in motion. 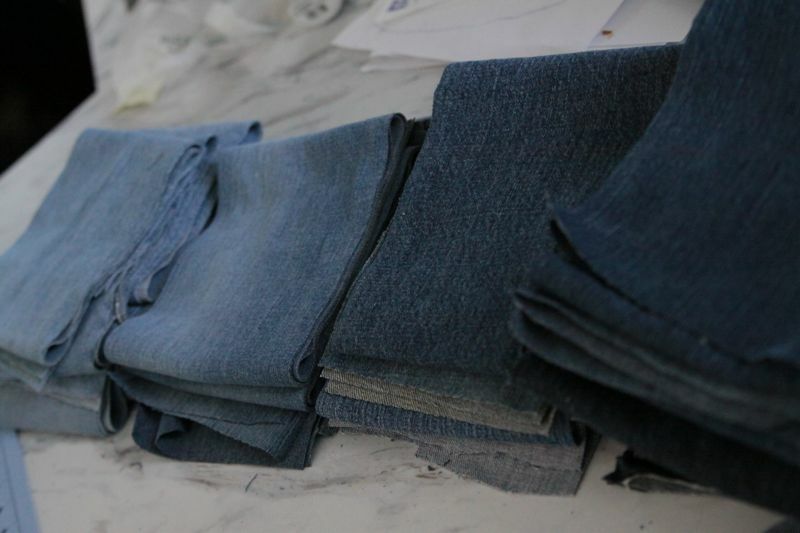 The tutorial gives so many great tips about working with denim. Congrats! I hope you and your family enjoy this quilt for many years! Your quilt is awesome! You have so inspired me to make a denim quilt. I have a whole truck load of them in the attic that people have given me. 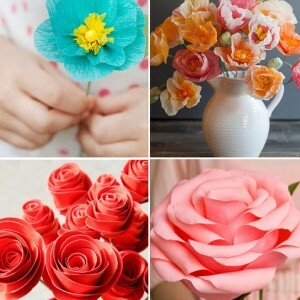 This is so gorgeous and combines two of my favorite things – recycling and quilting! I’ll be saving all our old jeans now. …..
Are you serious? This quilt is the MOST gorgeous quilt I have ever seen? I love when denim is re-purposed–but when it doesn’t look like actual jeans and you totally nailed it! Beyond amazing! i don’t think you owe anyone a shout out….this is a great quilt that you made yourself! i cannot imagine trying to sew through that heavy denim. good for you! LOVE your quilt!! 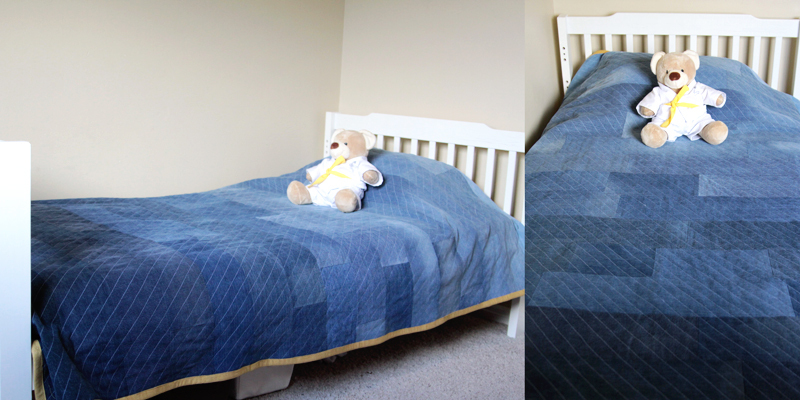 I have made one denim quilt with crazy blocks, took very long time! I like yours way better and plan on making one just like yours! OK? I hope you saved the top part of some of the jeans. You can line them and make the cutest purses. Your quilt is gorgeous!! Cheri that sounds interesting! Did you have a link to that tutorial? What a great quilt. I used half garage sale and half of my husbands old jeans. It was a fun project and the top came together so easily. Used the leftovers and made wonky log cabins (of course I need to add more old jeans to finish it off. Absolutely gorgeous! I will start collecting denim so I can make a similar quilt. Thanks for the inspiration! Totally Awesome Denim Quilt!! 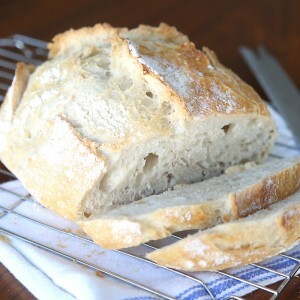 And a really wonderful tutorial too!! Only one wish — that it was possible to get a pdf file of it, to read & use offline. I find it so much easier that way, rather than having to be online to follow a tutorial. Alla that aside — great design work, & impressive execution of it. And personally, I prefer the machine sewn binding methids, especially on a quilt that is going to be well loved (a.k.a. well used). 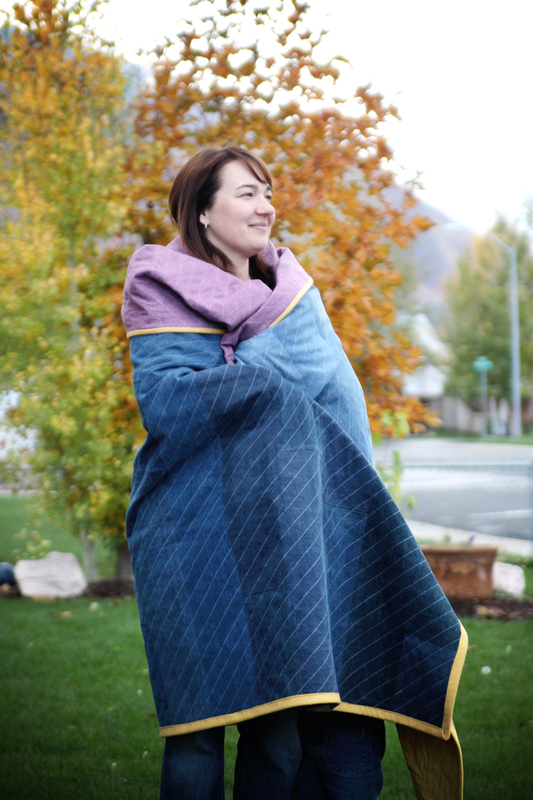 The more sturdy a quilt, its construction & its parts, the longer it’s going to last! P.S. 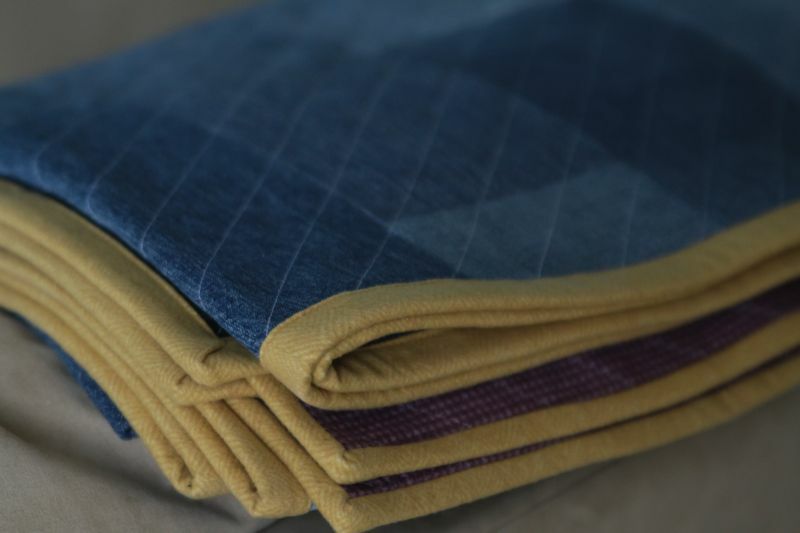 I’ve also been very happy with the results when I’ve used the Thinsulite style battings for denim quilts. It’s very thin, very much manages to not be too warm, it seems to modulate itself somehow? Cuz it can become quite toasty warm when needed too. 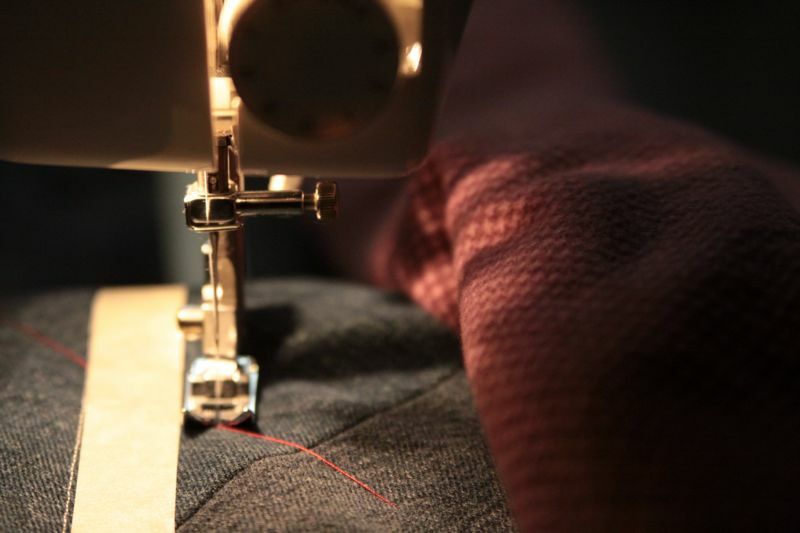 It has a firmer connectiveness to itself than the usual battings do, so it’s very easy to deal with while “sandwiching” and doing the actual quilting. Not quite like a roll of thin foam, lol, but not a usual batting “feel” of looseness either. If it were more easily available, I’d use it in many more of my quilts This last time I found it on a website geared towards people sewing outdoor gear — sleeping bags, gloves, jackets etc. I love denim quilts, they’re my fave to make. 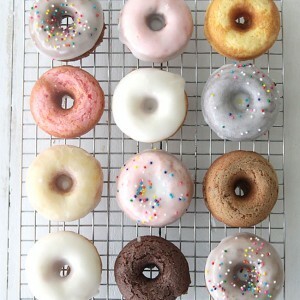 Yours is very sweet, love the ombre effect! I often use basting spray when I’m just doing 2 layers on a denim quilt. Saves my carpel tunnel trying to baste or pin thru heavy fabric. I also often use Thinsulite/Thinsulate for batting in denim quilts – the stuff used in winter coats & mittens & sleeping bags. Nice warmth, very lightweight — a very important consideration! Thank you for this tutorial, it’s so very well done, too!! Great looking quilt! I’m looking forward to getting started on my denim quilt. Do you mind sharing the dimensions of the strips you used? Thank you so very much for your tutorial. I just could not figure out how to get started but you Helped me. Okay girl, I am starting my 3rd one of these denim quilts today. Whenever someone sees one They put in an order. I tell them to go buy their denim and bring it on. I get the flannel and thread and charge them for that plus a little for my time. THIS is the simple way to go and easy. THANK YOU!!!!!! I am sure to make more! Amazing dresses crafted beautifully. Keep up the good work. Thank you so much. I am attempting this as my first quilt EVER. What are the dimensions of the denim rectangles 6 by ?. Wish me luck, i am still buying tools for quilting. I dont have a cutting mat yet….boy they are expensive.